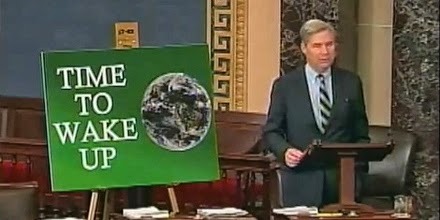 In the run up to the recently released fifth assessment report by the Intergovernmental Panel on Climate Change (IPCC), Rhode Island Senator Sheldon Whitehouse came out warning that action on climate change are more urgent now than ever before. In this video statement in the US Senate largely criticised the Tea Party section of the Republican party for spreading misinformation about climate science and for living in a world that does not adhere to reality. The Democratic Senator praised President Barack Obama’s climate plan as an important first step.